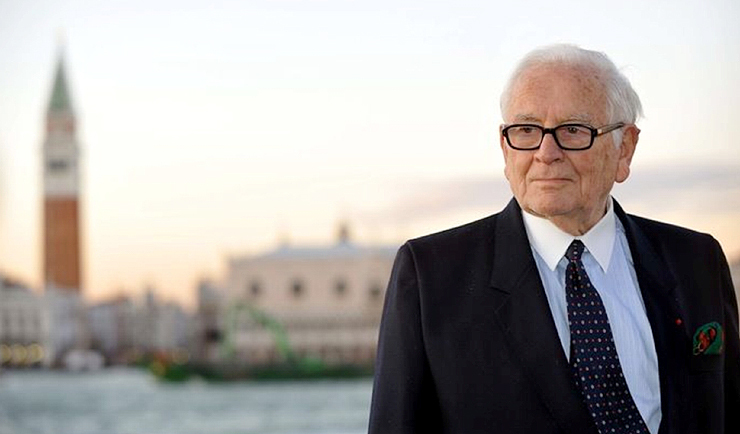 Pierre Cardin was born on July 2, 1922 in the Italian town of San Biagio di Callalta, in the Northern Italy, in a family of a hereditary winemaker. By the end of the war, he moved to Paris, where he began to take the initial steps in fashion. His first teachers were women: Cardin worked in the atelier of Jeanne Paquin and Elsa Schiaparelli, who taught him to perceive clothing as an artist’s canvas and not to be afraid of non-standard moves. Later he met Jean Cocteau and Christian Bérard, who helped him to receive his first serious order – the creation of costumes and masks for the movie “Beauty and the Beast”. In a year, he left all his studies, and began to work at Christian Dior. He spent four years with the maestro, gaining experience in designing clothes, after which he decided to start his own business. 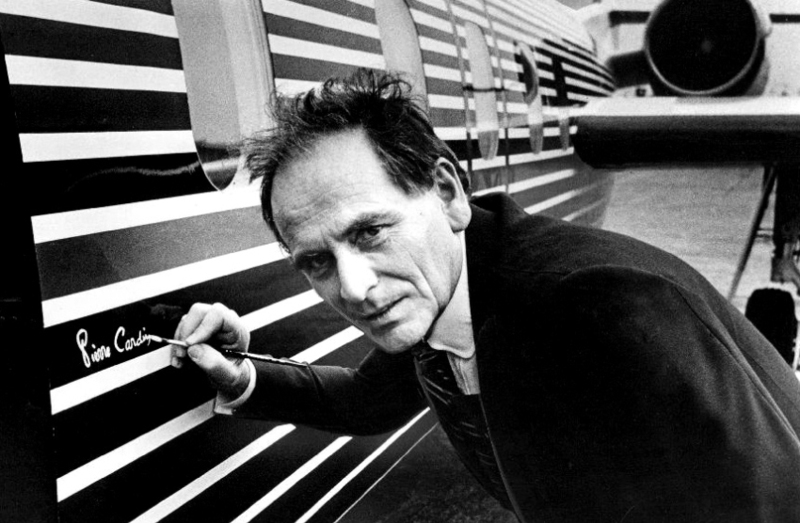 The year of 1950 gave birth to ‘Pierre Cardin’ brand. The first designer’s studio was located in the first arrondissement of Paris, between the Grands Boulevards and Rue Saint-Honoré. In the beginning, the designer was engaged exclusively in the creation of costumes for the theater, but after a little time, in 1953, he presented his first women’s collection. Even then, Cardin began to use unusual synthetic materials, and used moonlight as light on his shows. Next year, Cardin’s name began to be recognized around the world, which resulted in the new boutique called ‘Eve’ opened by Cardin at Ru du Faubourg Saint-Honoré, the prestigious eighth arrondissement of Paris. After three years, having consolidated his reputation, he decided on a bold move and started to create men’s clothes, although at that time fashion was considered the prerogative of women. The designer opened another shop called ‘Adam’. The same year, Cardin went to Japan, where he learned about new technologies in the sewing business and, after returning back home, accepted the offer from the design college Bunka Fukosa to start teaching courses in three-dimensional clothes design. 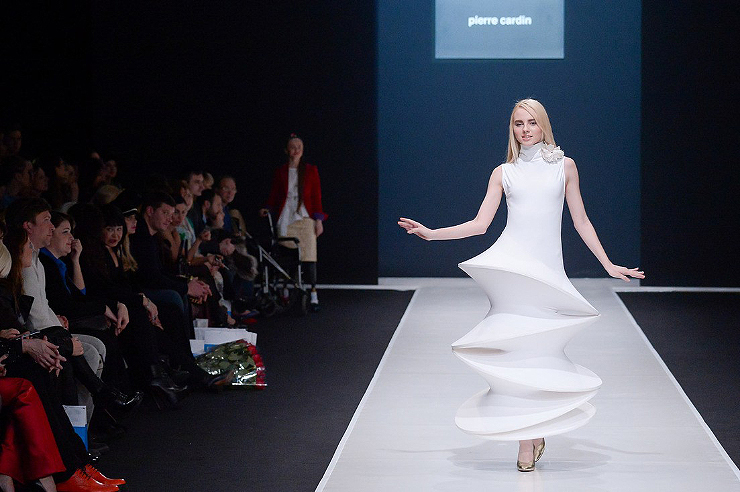 The next decade became the time of endless designer awards received by Cardin around the world. During those years, he managed to launch a children’s line, opened several new stores and held his own exhibition. By the mid-eighties, Cardin held his shows in Beijing and Shanghai, celebrated the thirtieth anniversary of creative activity with a large-scale exhibition at the New York Metropolitan Museum, as well as opened new stores and offices around the world, from China to Bulgaria. Then he decided to try his hand at another type of business: the designer acquired a stake in ‘Maxim’s’, a legendary Paris-based restaurant, where he has held his presentations ever since. In the summer of 1991, Cardin arranged a grand show in Moscow which gathered about two hundred thousand people in Red Square. Gradually, Cardin began to take more and more offers that were far from fashion: he designed plumbing, furniture and car seats, produced champagne and children’s toys, opened new restaurants in Budapest and Rio de Janeiro, even took on his own hotel in California. At the same time, he was faced with accusations of a desire to put his name on everything that was possible, starting with vehicles and ending with food. During the breaks, he launched several fragrances, opened several more restaurants, and received an invitation to develop the design of one of the cars for a known car manufacturing company. Cardin’s futuristic design was in demand not only in fashion. In the mid-nineties, a former couturier decided to suspend the work of his fashion house. However, two years after he announced the resurgence of Pierre Cardin brand, and showed up at Paris Fashion Week with a ready-to-wear collection. In 2018 Pierre Cardin celebrated his 96th birthday.